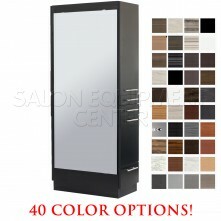 Call us (224)200-9488 for custom orders and to take advantage of the special! 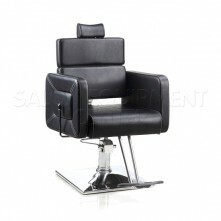 The Albert All Purpose Salon Chair is a sleek contemporary designed chair. 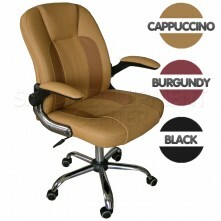 It features an adjustable removable headrest for stylist ease and is great for styling purposes. 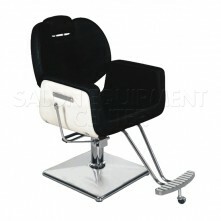 Its reclining back adds another element of functionality and will work great in any salon décor. 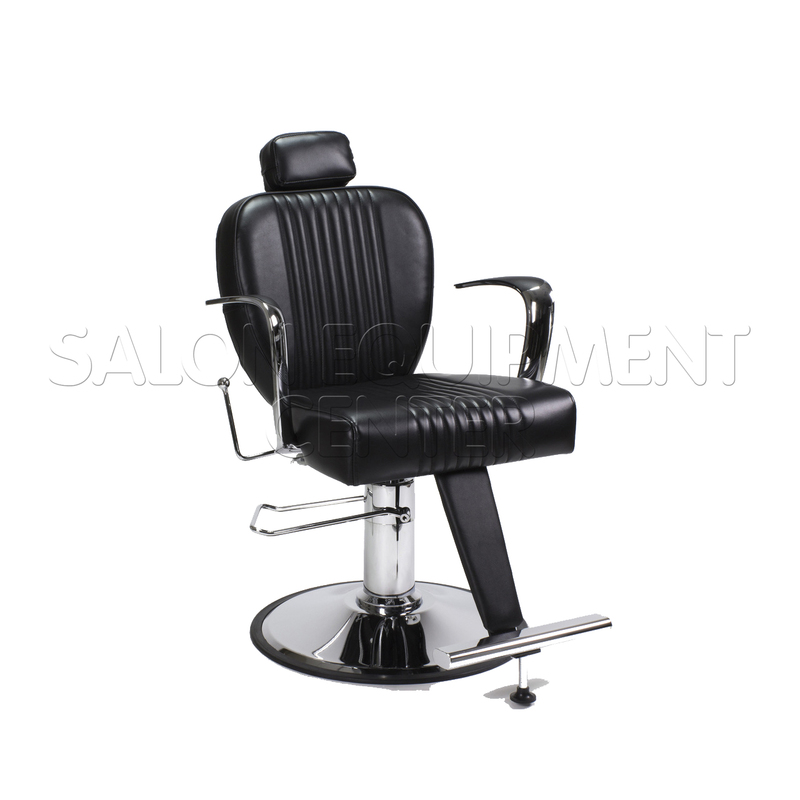 Features include polished chrome hydraulic base, chrome footrest, chrome arms, and rich black vinyl leather upholstery. 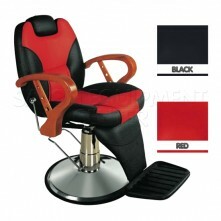 Heavy duty pump & plate supports up to 400 lbs. 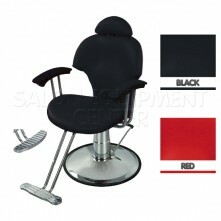 Headrest adjustable up to 8"
Floor to Seat Height in the Up Position: 20"
Ships with freight service, one item per carton, 12 cartons per pallet. 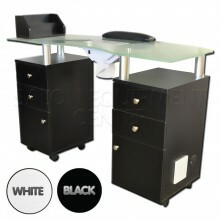 Shipping weight 77 lbs ea. 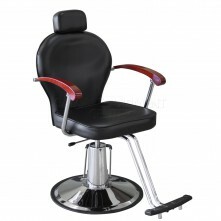 Click the button below to add the Albert All Purpose Salon Chair to your wish list.